The best gift in the world is the memories we make with the people we love. 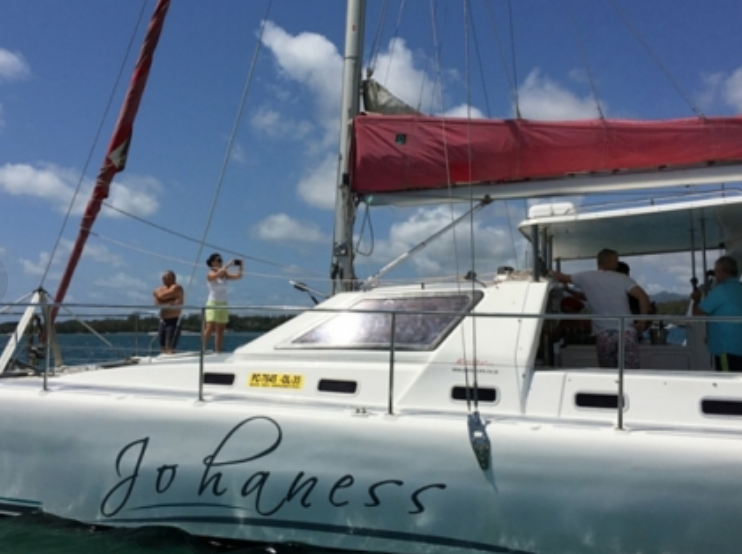 Build memories with your loved ones onboard one of our catamaran. 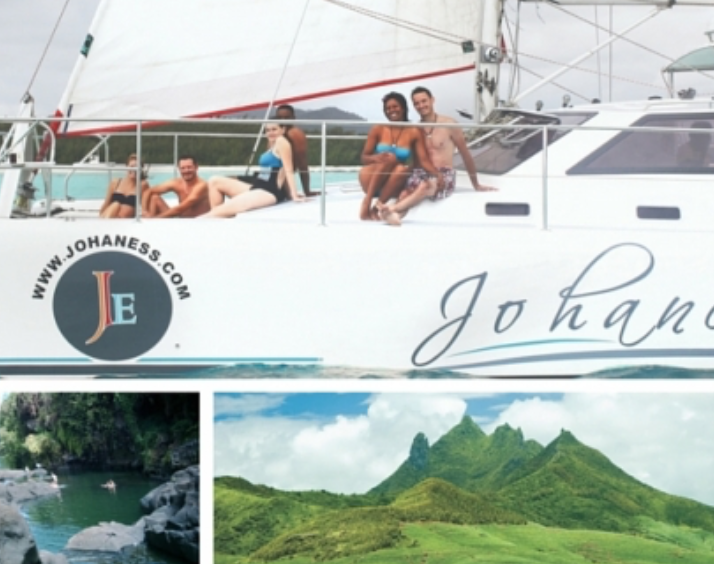 Private Catamaran cruise and enjoy a full day of relaxation and fun with your family / friends.There is no better way to enjoy the sun and sea of Mauritius. After getting on board at Trou D’Eau Douce, this trip cruise to the Lighthouse, Eau Blue (Beautiful spot for snorkeling) and GRSE waterfalls including BBQ lunch, and drinks (both alcoholic & non alcoholic). Embark on our catamaran which shall bestowe you with a unique one-time experience of comfort and relaxation and intimacy as well since you shall be the only ones on board to enjoy fully a day of relaxation. 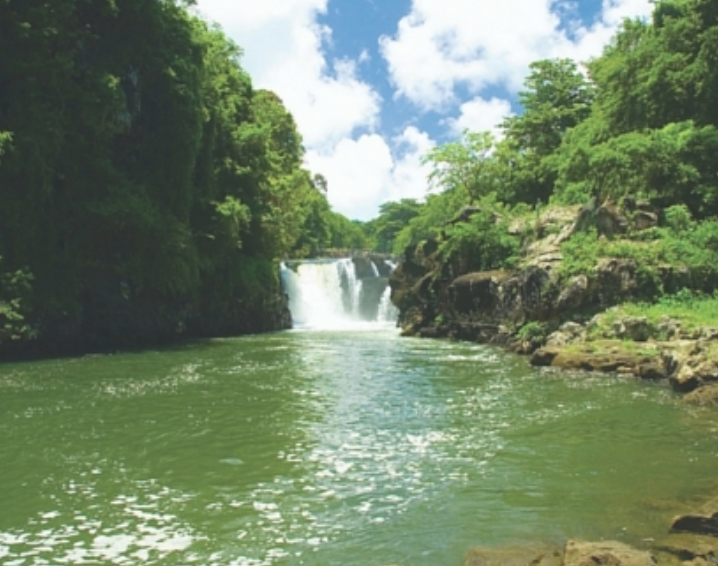 We shall sail to one of our most renowned waterfall at Grand River South East. Its rich flaura and fauna will enable you to observe the bats hanging from the tops of the branches and monkeys in their natural habitat perched on trees or sheltered on mountain slopes that border the river and the majestic Pailles en Queue. Delicious BBQ lunch and drinks shall be served during the cruise. 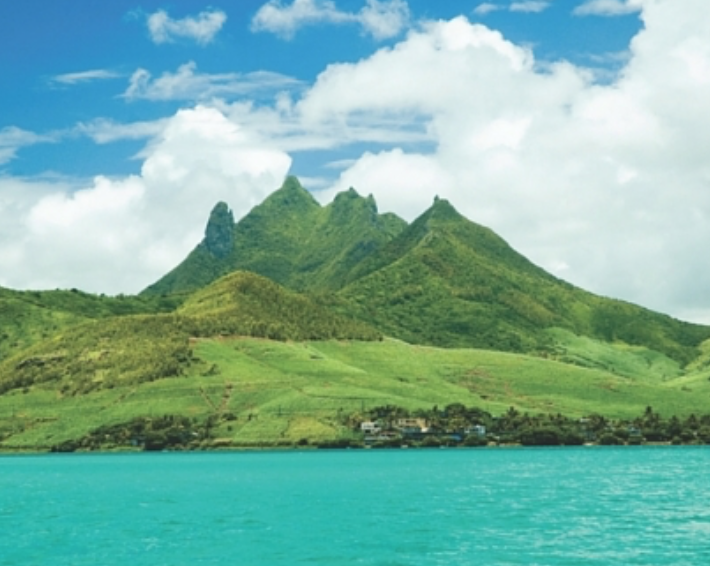 You will also have the opportunity to snorkel at Eau Bleu, a beautiful spot where you may snorkel. The snorkeling spots are home to a variety of fish species and live corals. If you do not wish to snorkel you may relax onboard and/or sunbath on the deck enjoying the comfort of the catamaran. Lunch shall be served on board starting with vegetable or rice or pasta salads along with grilled garlic bread, what best than a tasty barbecue as main course including chicken, sausages and fish. To refresh yourselves have a wonderful fruit salad or grilled banana as dessert. 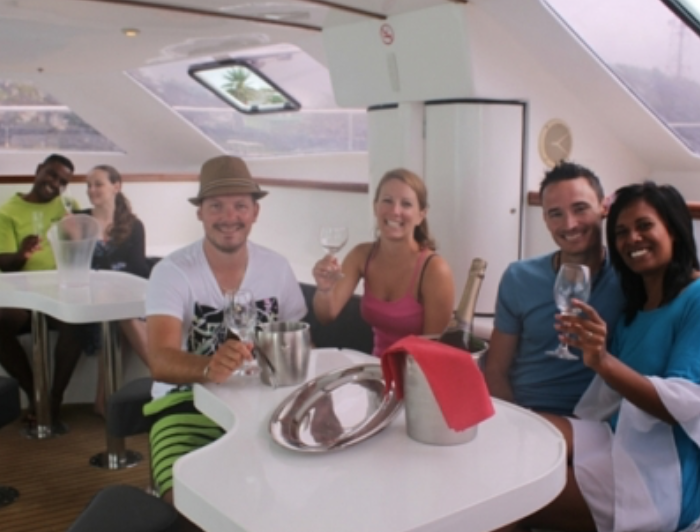 As regards to drinks wine, beer, soft drinks, juice, water, coffee & rhum are provided on board during the whole day trip. Visiting the Lighthouse is optional by speedboat from the Catamaran to the Lighthouse, see add-ons for price.